Usable navigation is one thing every website needs. 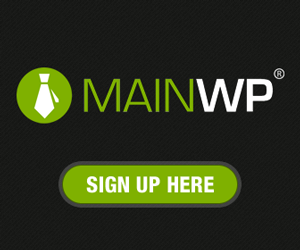 Good menu bar is intuitive, user friendly and help your visitors get the content they’re looking for without hassle. 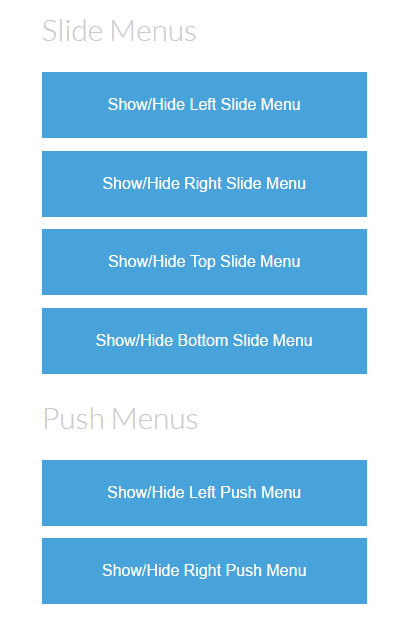 In this article we present various CSS/HTML menu bar for responsive web sites. You can view the demo and implemented the source codes to your website. Each menu bar template has their own tutorial. 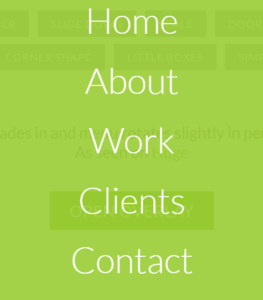 A basic responsive navigation menu bar with dropdown using only HTML and CSS. 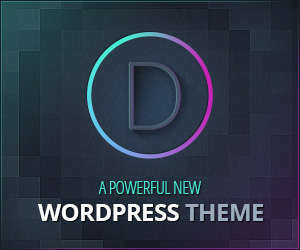 The code we will create includes only the most essential CSS required for structure and basic styling. 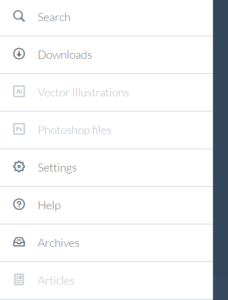 A navigation menu bar that is hidden off screen until the user clicks on a menu icon, at which point the content slides over and darkens, and the menu slides in. Overlay fades in and menu rotates slightly in perspective. A speedy, flexible framework for off-canvas flyout panels. Pure HTML and CSS. 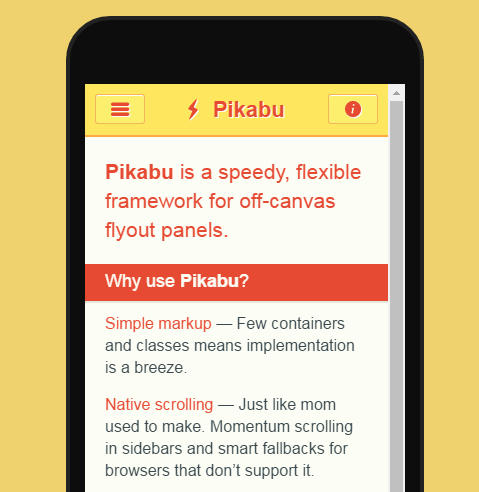 Pikabu is super customizable to your needs. A colorful Retina-ready and responsive menu inspired by the colors of the Maliwan manufacturer of the Borderlands game. 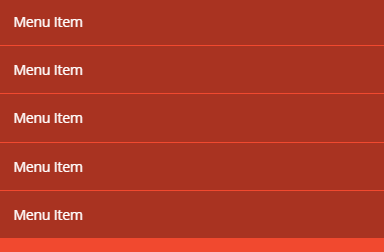 3 layouts for different browser sizes. 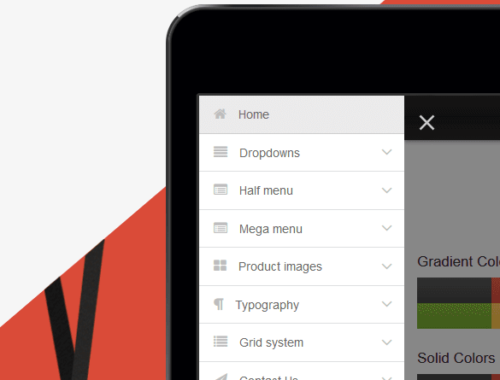 A set of fixed menus that will slide out from any of the edges of the page. 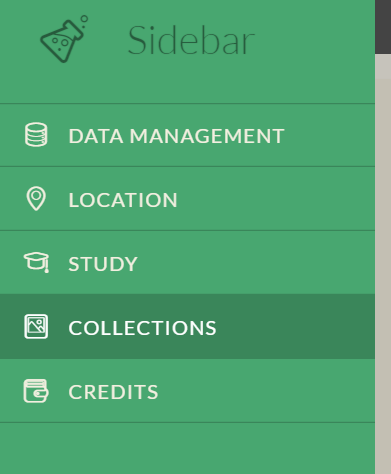 A CSS/HTML transitions for sidebars navigation or off-canvas content like the one we’ve used in the Multi-Level Push Menu. 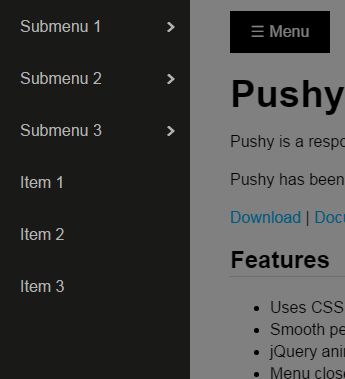 Pushy is a responsive off-canvas navigation menu using CSS transforms & transitions. This project was inspired by the off-canvas navigation men.